Celebrate the first-ever national tour of this prestigious portrait competition at the opening of The Outwin 2016: American Portraiture Today. TAM is the only West Coast location for this exhibition! See innovative contemporary works by 43 artists, listen to lively music, and pose for an instant portrait! Enjoy appetizers and a no-host bar. Street Detour Notice: Access from Pacific Avenue to Hood Street is closed during the Prairie Line Trail construction. Please follow City of Tacoma Signage to detour one block from Hood Street to enter TAM and Courthouse parking lots. Learn more about the works on view as you listen to TAM staff and local community members talk about some of their favorite portraits. The series of brief talks will begin at 8 pm by the portrait La Guia “The Guide”. Add even more excitement to your night on the town. 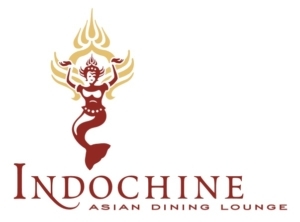 Head across the street to enjoy a tasty treat at Indochine! Use code “TAM” for 1⁄2 price appetizers and $5 drink specials from 4 – 10 pm. Members’ Opening in-kind support provided by Heritage Distilling Co. and Northwest Costume. Above: Amy Sherald, Miss Everything (Unsuppressed Deliverance) (detail), 2013. Oil on canvas, 54 × 43⅛ inches. Frances and Burton Reifler. © Amy Sherald. 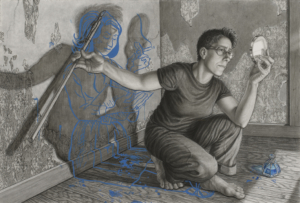 Above, right: Riva Lehrer, Alison Bechdel, 2011. Charcoal, mixed media and 3-D collage on paper. Courtesy of Sandy Hindin Stone © Riva Lehrer. 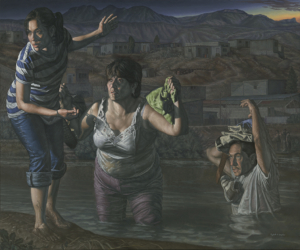 Rigoberto A. Gonzalez, La Guia (“The Guide”), 2014. Oil on linen, 60 × 72 inches. Collection of Matt Gonzalez. © Rigoberto Gonzalez.